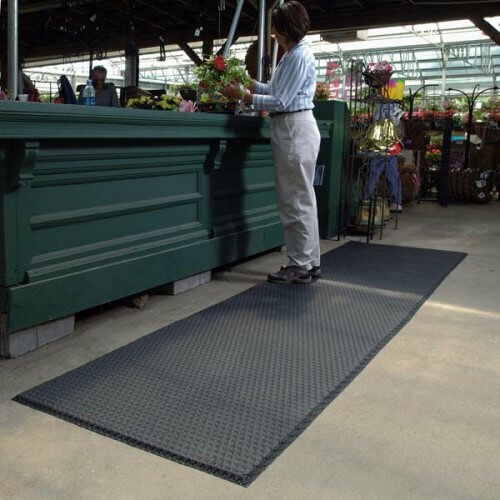 5/8" thick with superior anti-microbial, anti-fatigue mat constructed of 100% Nitrile/PVC closed-cell cushion to provide outstanding anti-fatigue properties for employee comfort and ergonomic benefits. 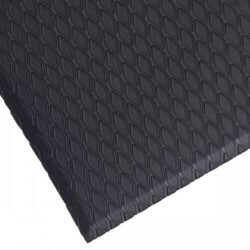 The Cushion Max features a diamond patterned surface that is more than twice as durable as traditional PVC foam mats. 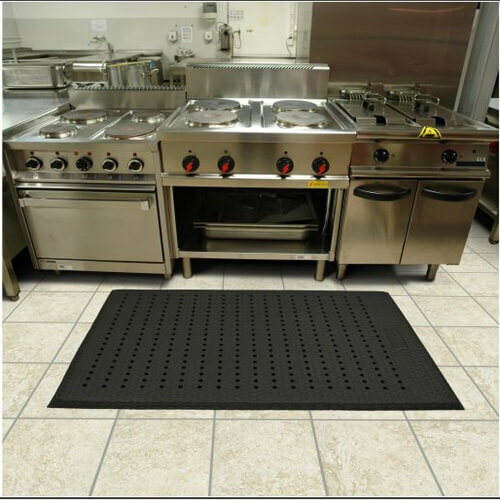 The pattern also helps to reduce slip and fall accidents while beveled borders make for a safe transition from floor to mat. Tapered borders allow a safe transition to minimize trip and fall exposure. 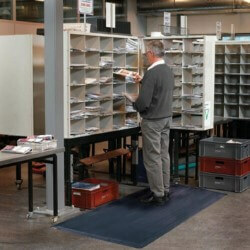 Cushion Max offers a cost effective alternative to traditional PVC foam mats. Production time: 3 to 5 business day. Custom Sizes and Runners Available - Up to 45' in length in 2', 3' and 4' widths. For pricing and ordering information email or call us. 1. 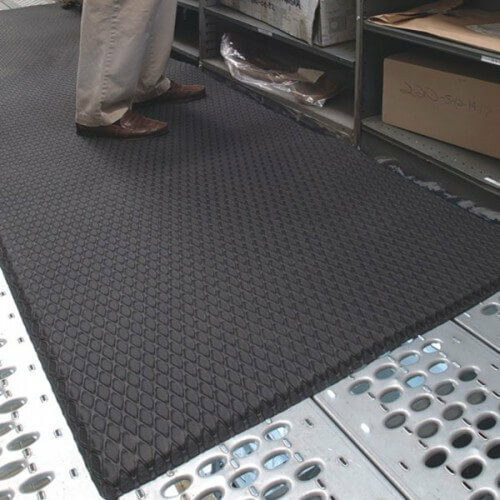 Constructed of 100% Nitrile/PVC closed cell foam to provide superior anti-fatigue properties for employee comfort and ergonomic benefits. 2. Tapered borders allow for a safe transition to minimize trip and fall exposure. 3. 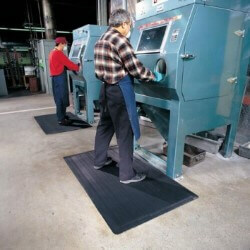 Cost effective alternative to traditional PVC foam mats. 5. 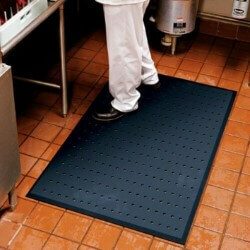 Available with or without drainage holes. 6. Recommended for use in warehouses, picking lines, assembly lines, work stations, check out stations, labs or other wet or dry environments. Density: ASTM D-1056- 6.5 to 8.5 lbs./cubic ft.